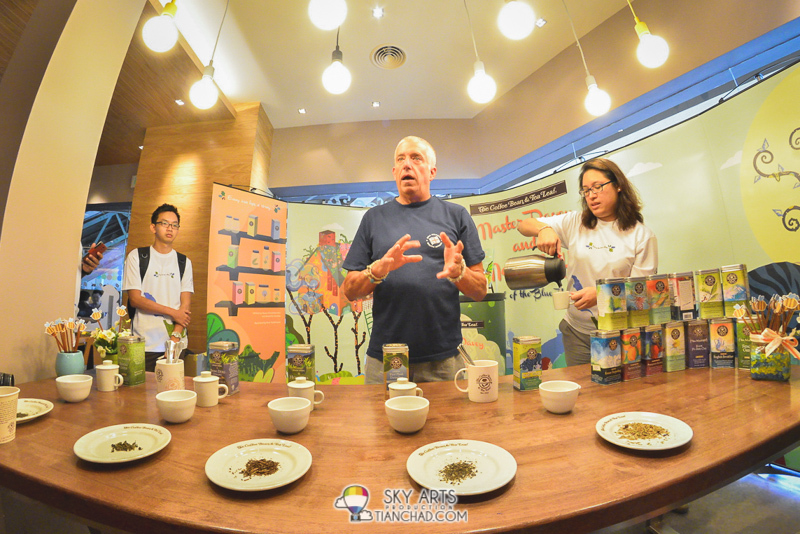 Mr David De Candia sharing how he got the idea of creating this Blue Tiger Tea before teaching us how to identify and recognize the tea. 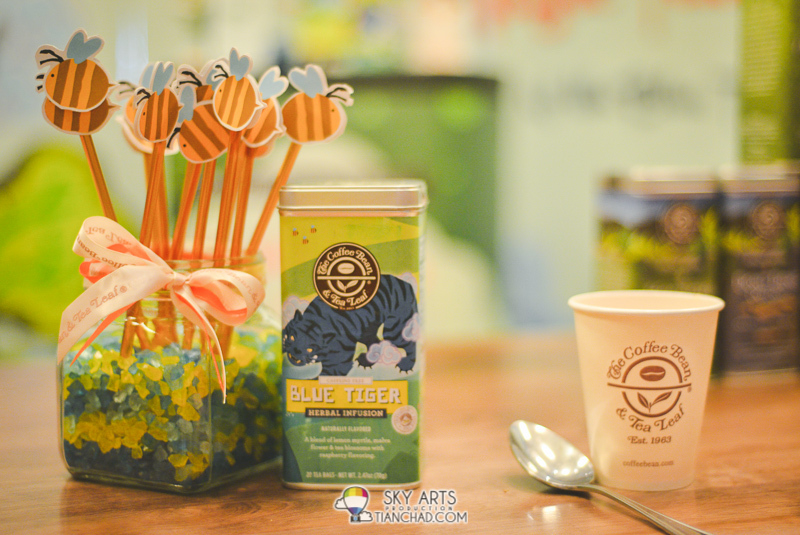 The Coffee Bean and Tea Leaf (CB&TL) has introduced the Blue Tiger Tea – a limited edition rare blend variant into its line of exquisite tea products. 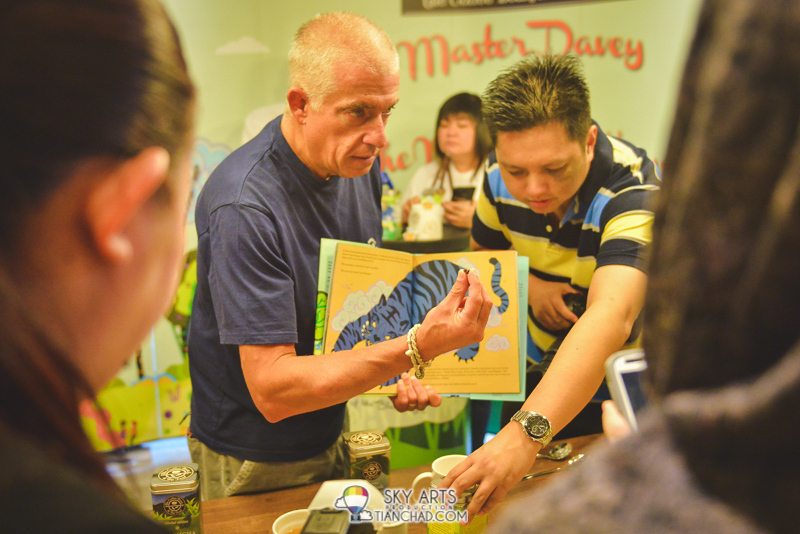 Launched together with the Blue Tiger Blend is a children’s storybook titled Master Davey and The Magic Tea House: Legend of the Blue Tiger – both the tea and book were created by Mr David De Candia, one of the world’s leading tea experts and Director of Tea, Buyer, Master Blender at The Coffee Bean & Tea Leaf, with the sole purpose of raising awareness and support for Lupus. In Malaysia, the proceeds raised will be contributed towards supporting the Malaysian Systemic Lupus Erythematosus (SLE) Association (PSLEM). “We are especially excited to introduce this unique and limited edition Blue Tiger Tea blend into the Malaysian market as The Coffee Bean & Tea Leaf® is always looking to push the flavour boundaries to provide tea lovers a rewarding tea drinking experience. 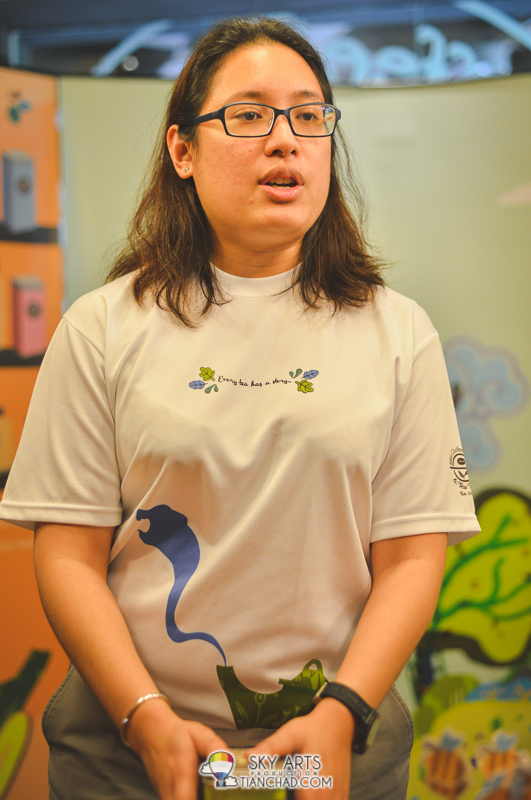 I hope you will experience magic in this exquisite blend of Blue Tiger tea, as we are sure this will be the perfect cup of tea you will share with your friends and family,” said Ms Fiona Rodrigues, Director of Marketing & Development at The Coffee Bean & Tea Leaf. 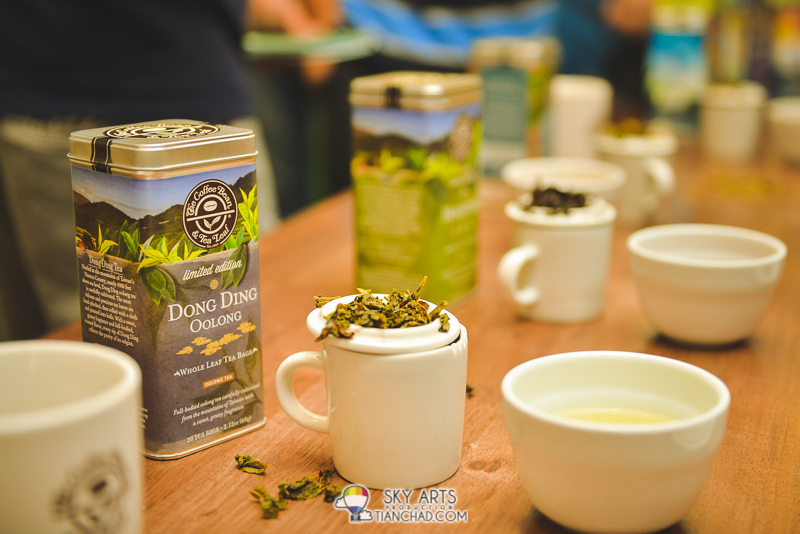 “Beyond the hallmark of The Coffee Bean & Tea Leaf’s philosophy of providing our customers with the finest tea and highest quality of coffee, making a social contribution has always been at the core of our business. We define such social consciousness through our Caring Cup initiatives and what we strongly advocate is to give back to community. Locally, I should emphasise that the main driving force behind this Caring Cup initiative is consumer awareness. This year, the aim of our collaboration with Malaysian SLE Association is to help raise awareness of Lupus. Truth to be told, most people know very little about Lupus. We hope this initiative will provide a better understanding on this under-diagnosed disease to the public. This is critical in making advances in the management, treatment and search for a cure. For now, it has no known cause, yet research on Lupus remains underfunded relative to its scope,” added Ms Rodrigues. The Blue Tiger Tea is a unique blend that comprises of lemon myrtle, malva flower and tea blossoms with a tinge of raspberry flavouring. In addition to the health benefits which can be found in lemon myrtle and malva flower, the Blue Tiger Tea is light bodied, fruity yet lemony – providing an invigorating and tantalising experience for your taste buds. The storybook highlights the magical journey of a young boy named Hopper, who goes on an adventurous search to save the ancient Blue Tiger Tea. 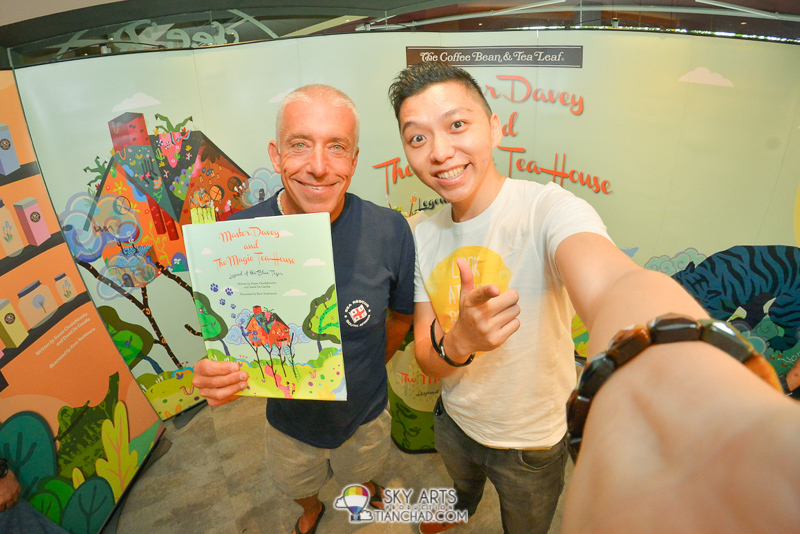 Co-written by Mr David De Candia, the storybook can serve as a bedtime story for kids or even leisure reading for adults. 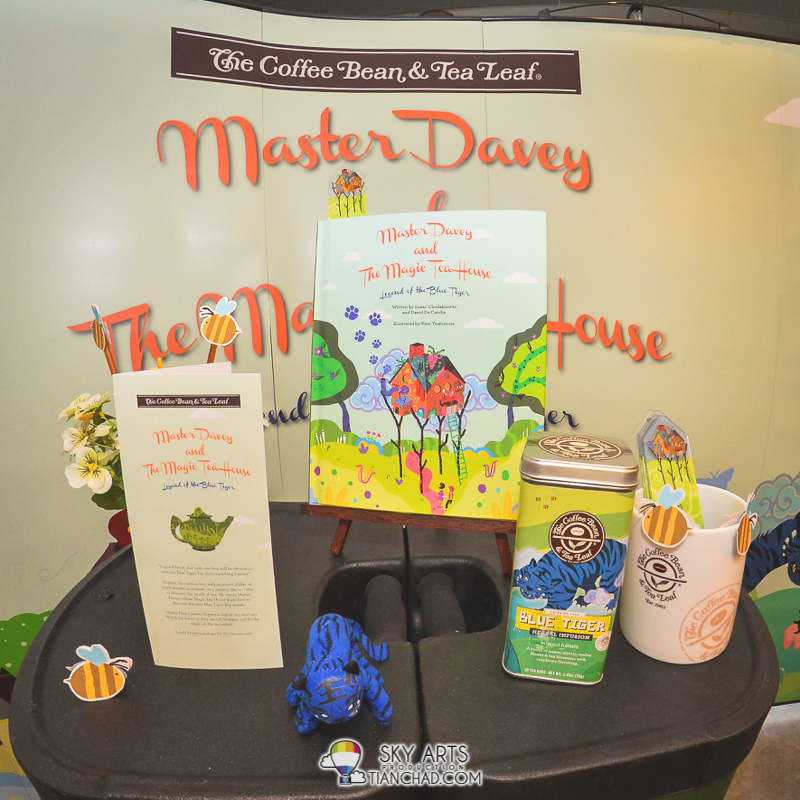 Master Davey and The Magic Tea House: The Legend of a Blue Tiger is sure to change the way you enjoy your cup of tea. “The three ingredients were chosen to give the Blue Tiger Tea its unique twist of flavour, they were also carefully selected based on the central themes of the book, which is to imagine, perceive and believe. 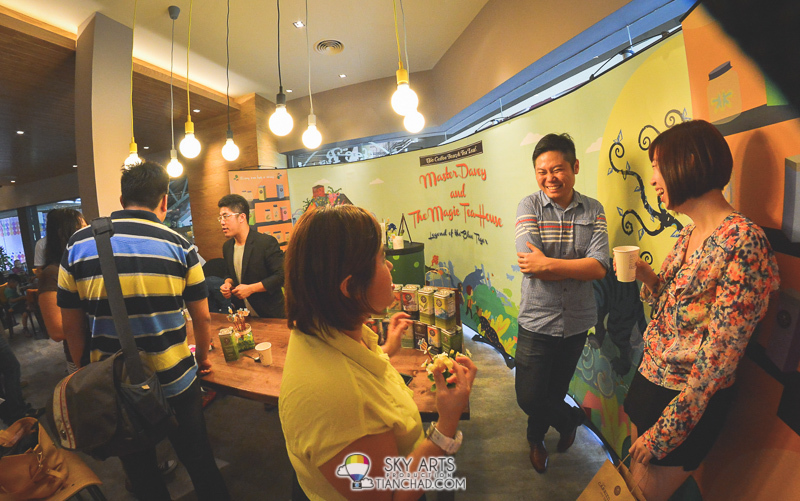 The combination of these flavours aims to reconnect consumers with nature, bringing to mind the needs of communities around us,” said Mr David De Candia, Director of Tea, Buyer, Master Blender at The Coffee Bean & Tea Leaf. 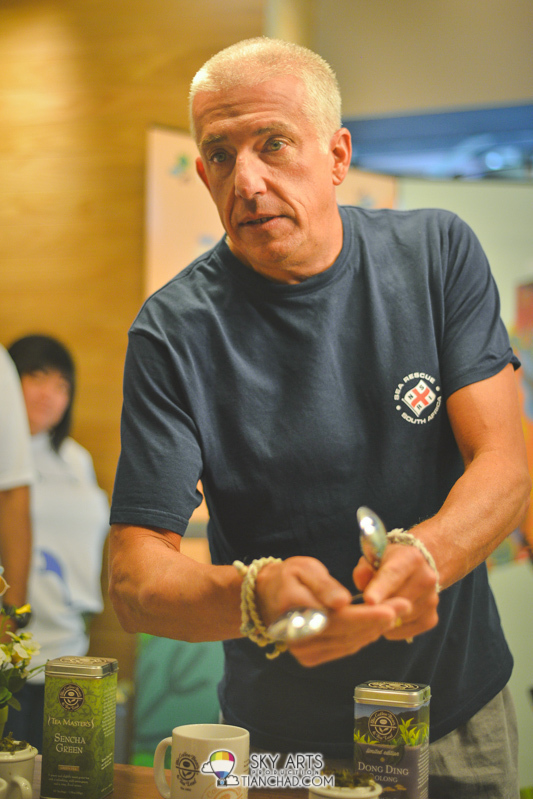 De Candia is one of world’s leading tea experts, and his expertise in tea made him the man solely responsible for the research, buying, blending and packaging of the tea under the company. On a side note, the Coffee Bean & Tea Leaf and David DeCandia gave us the opportunity to mix our own tea according to own favourite. Above are some of the ingredients available for us. 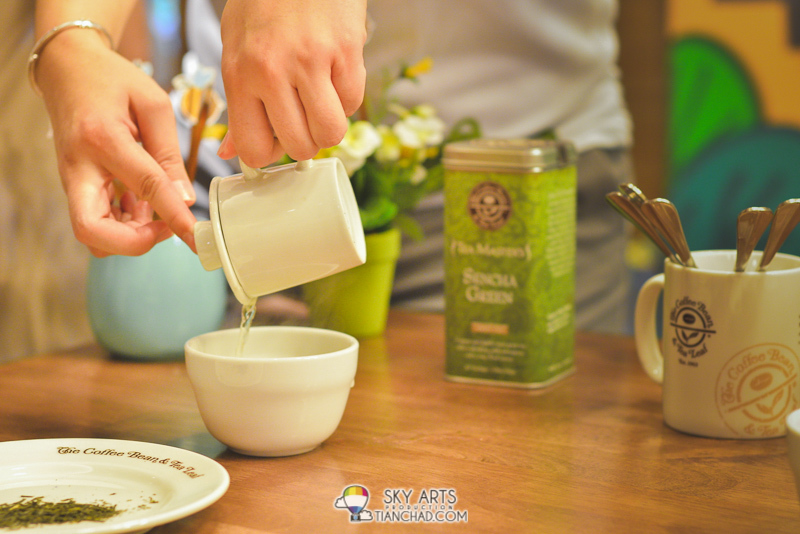 First, you choose the base, which is the main tea leaves that you want. 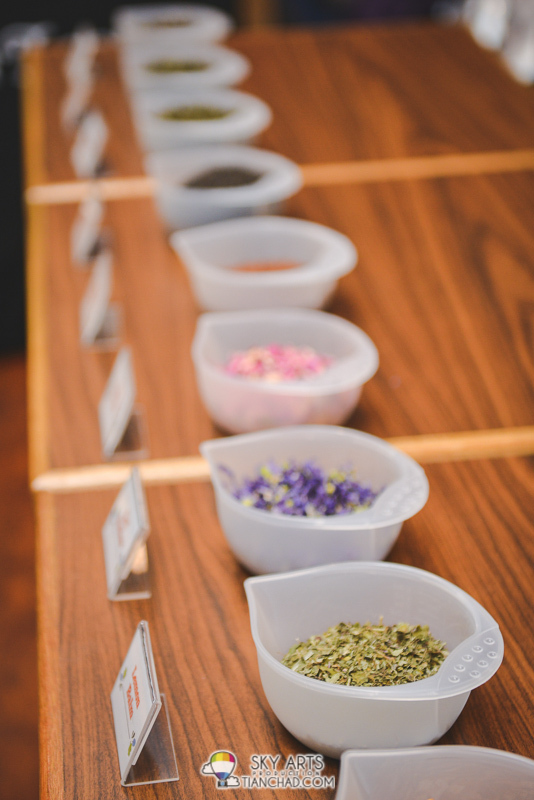 Then you include other ingredients like blue flower for the color and rose for the scent. There are even Lemon slice as part of the ingredients too. I myself made a colorful mixture of the tea not knowing how it might taste like haha. 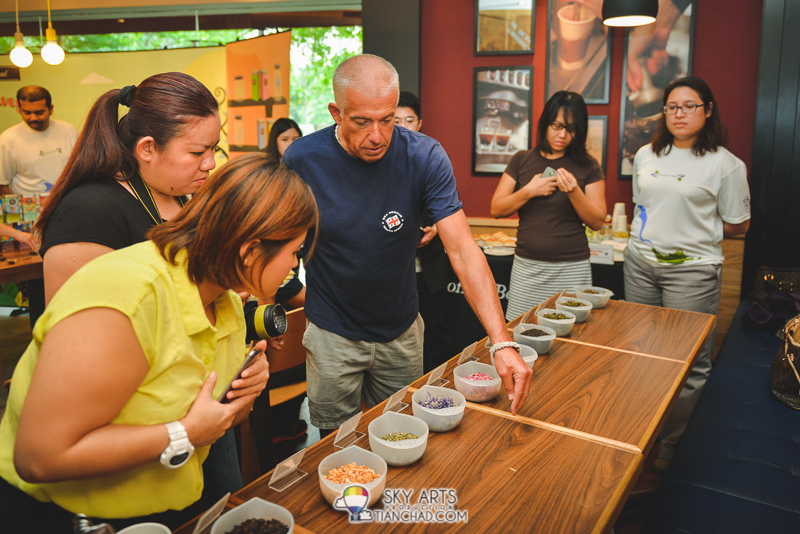 Mr David DeCandia guiding the bloggers on how to make their own blend of tea leaves. Here's my creation and I named it #TCBlend. Since I like to drink green tea, my mixture consisted of mainly Taiwan Green Tea Leaves with small addition of Lemon Peel, Honey Bush, Rose Petals and Cut Mellow. I wonder how it taste like although I still reluctant to consume it now. It just looks good in that bottle hahaha! Last but not least, a selfie photo with Mr David DeCandia. Thanks for spending time with us bloggers and I am glad to meet and learn from you! 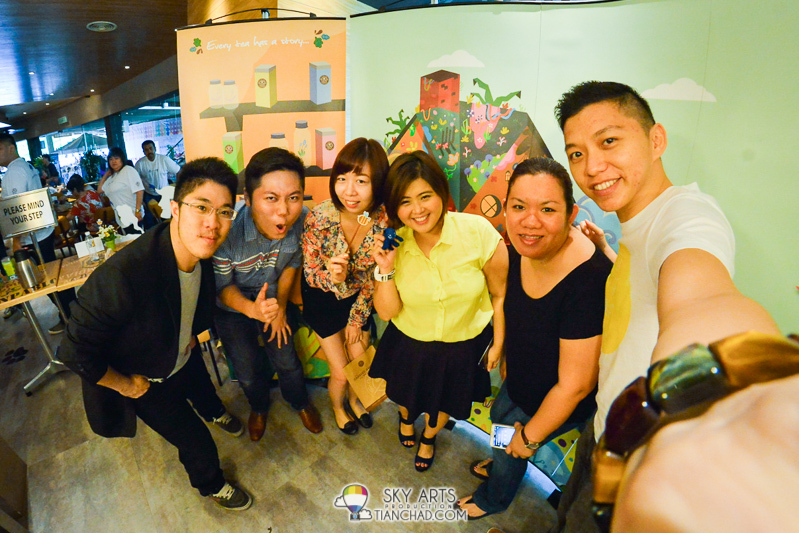 Thanks Coffee Bean & Tea Leaf for organizing this event too!! 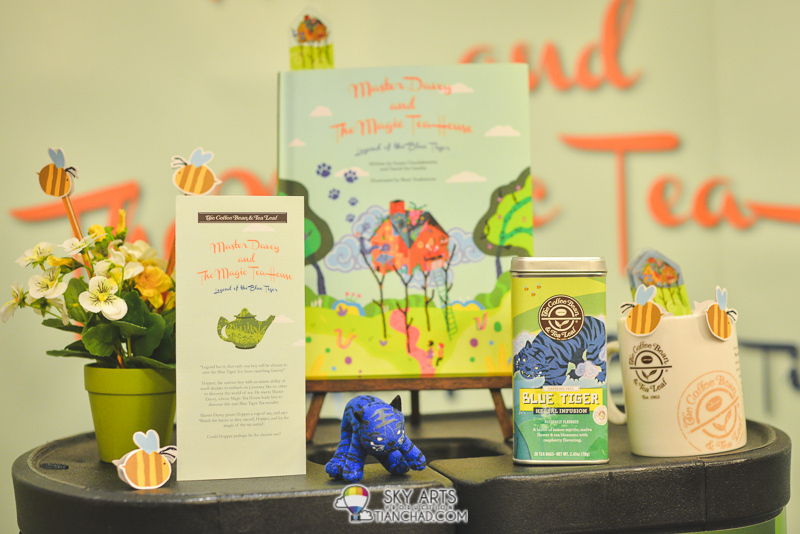 Both limited edition Blue Tiger Tea blend and the Master Davey and The Magic Tea House: Legend of the Blue Tiger Tea storybook are only available in participating CB&TL outlets across Malaysia. 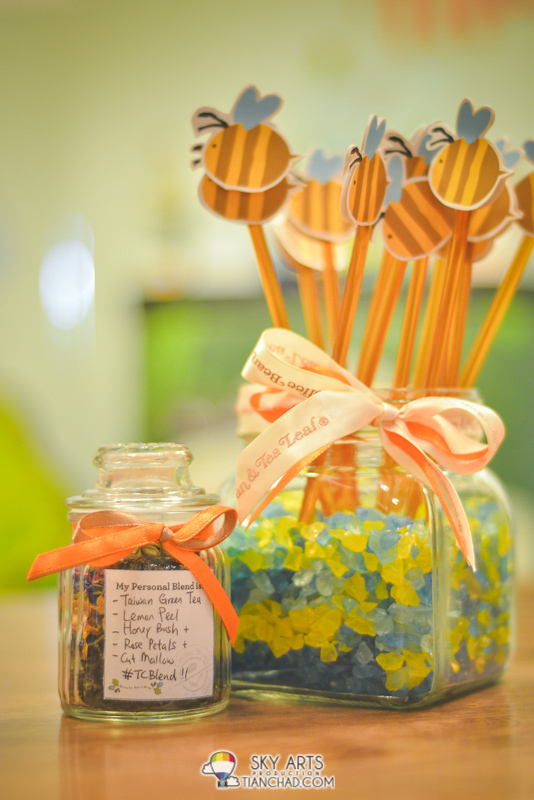 Customers who purchase the set of tea and storybook will be entitled to a 20% discount off the retail price. 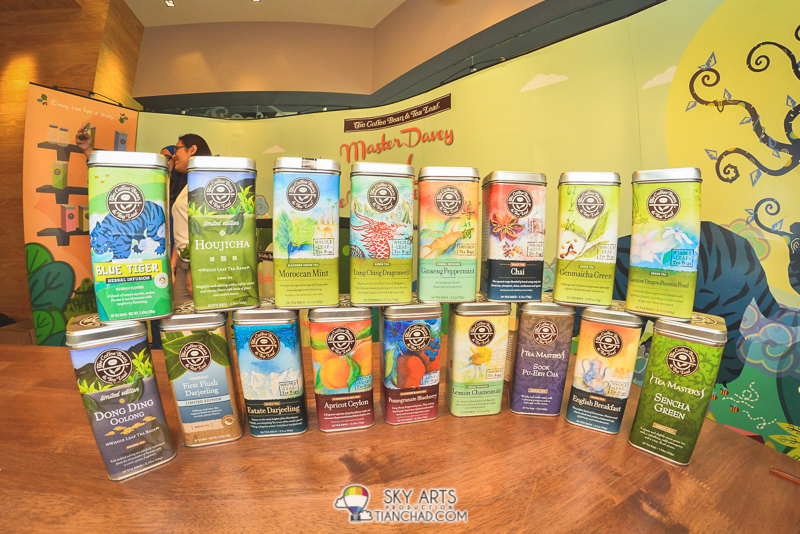 For more information, please visit The Coffee Bean & Tea Leaf’s website or Facebook page.